When one thinks of Africa, one thinks of Kilimanjaro and the great plains beneath, alive with an ever changing pattern of animals always on the move. 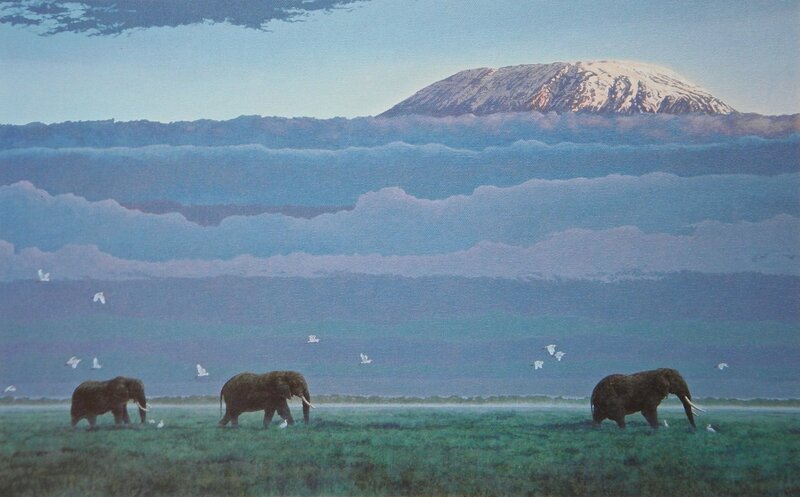 I love big landscapes and this has everything: a big sky, a snowcapped mountain, elephant and egrets moving slowly through the wet dewy grass as the sun strikes highlights on the top of the mountain. A memorable sight indeed.